As you may remember from an earlier episode of NerdBurger or your own observations of consumer life around you, Taco Bell has begun serving breakfast! Among the heavenly-sounding yet sometimes-unattractive-looking combinations of food they've dreamt up for your consumption are the Waffle Taco in both sausage and bacon varieties. 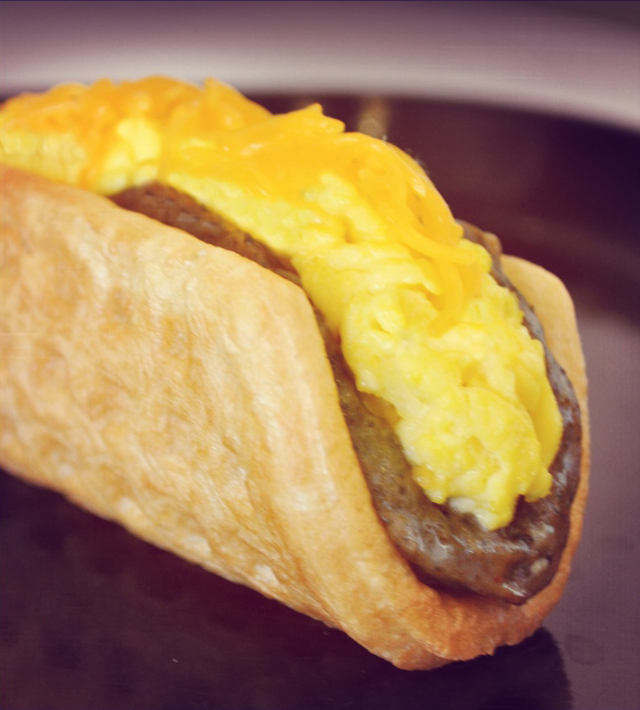 These are Taco Bell's own promotional photos that are out of focus and all Instagrammy. Is this the "bacon" filter? Listen to Craig and Mike eat these taco-shaped waffle sandwiches and rate them on a scale from Barf! to MOAR! Or a scale of 0-5 burgers. Or of clogged arteries. Or of something else they'll think of later. We hope you enjoy it as much as Mike enjoyed his leftover pile of bacon crumbles!